Cape Town will soon have the sweetest spot to meet thanks to the power of the crowd! 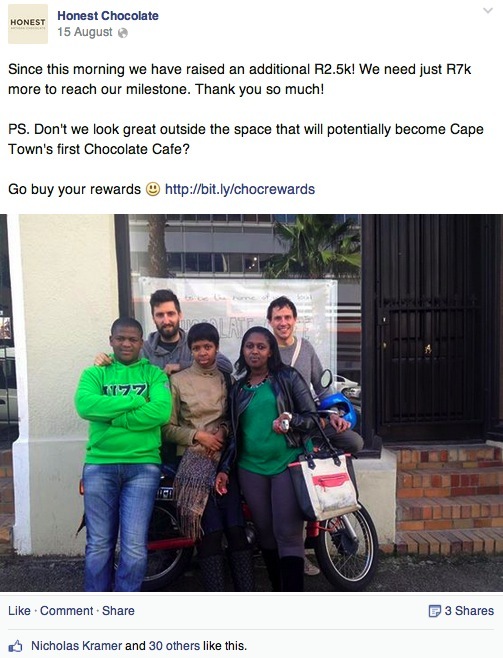 Project: Cape Town’s 1st Chocolate Cafe! A reasonable crowdfunding goal considering their network. Instagram: 870 followers… Numbers as per August 2014. A clear and focused narrative. 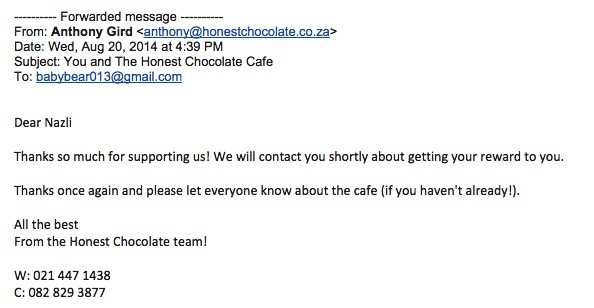 “We have the opportunity to open a beautiful chocolate cafe in a heritage building on Wale Street in Cape Town and we want you to be a part of it!” – Honest Chocolate’s “Opening Sentence”, which details the project plan and includes an invitation. Attractive, personal pictures and videos. Images used, both for their campaign and via social media, were eye-catching, enticing and personal | behind-the-scene updates created credibility. A range of rewards with value proposition. Project creators, Anthony and Michael, crowdsourced their potential reward offering ideas with their family, friends and regular customers first. This allowed for Anthony and Michael to gauge potential market interest and gain feedback. By including their ‘1st Degree Network’ in the campaign creation process they also had a small group of backers ready to purchase their preferred rewards once the campaign went live. Unique, exclusive rewards were offered, including retail | recognition | experience. The reward details, as well as estimated delivery dates and delivery information, were clearly explained for the backer. Eye-catching and good quality reward images were used, both on their campaign and in marketing the products via their Social Media. These are enticing to a backer and immediately reflect the reward offering, such as a cup of coffee and a chocolate. Reward values ranged from R30.00 – R5 000.00 and offered value for money. 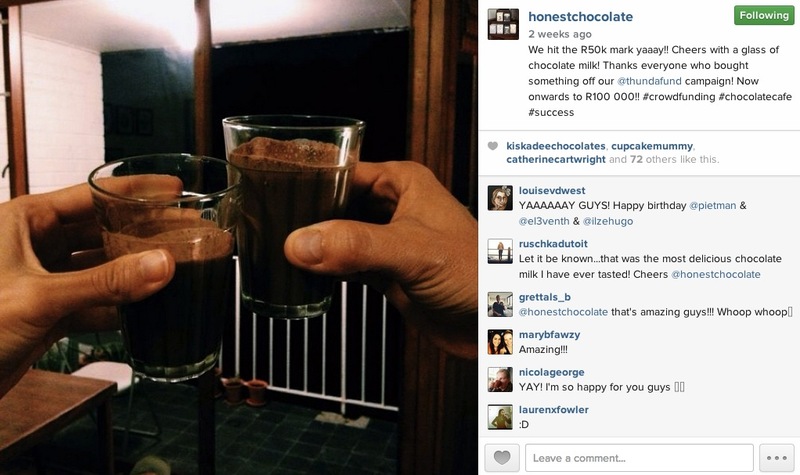 Most Popular Reward: R75 ‘Double Dose’ – 51 Supporters. Developing a clear strategy to target backers in a short space of time & recruiting active champions. Campaign ‘acceleration’ with Chicken and Wolf, whom assisted with social media, community engagement and marketing to reach and activate larger market in a short space of time. Connecting with First Thursday for a campaign launch and cafe preview event. Competition with Terbodore Coffee Roasters. Hosting an event to boost local promotion. A preview of the Cafe space during Cape Town’s First Thursday evening. In conversation at various Open Design Cape Town events. 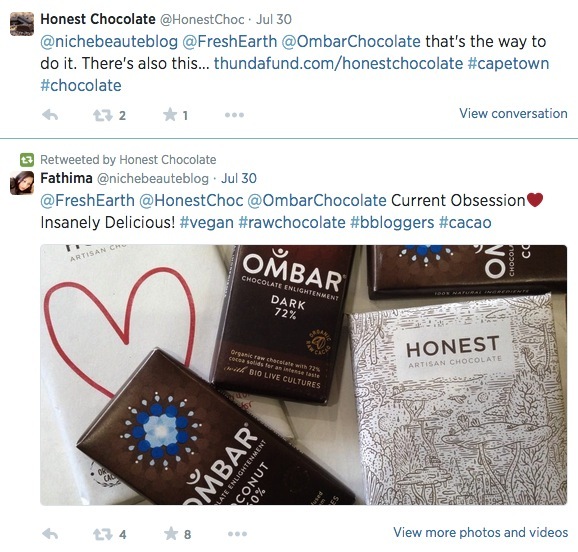 Honest Chocolate also offered a sample product at events. 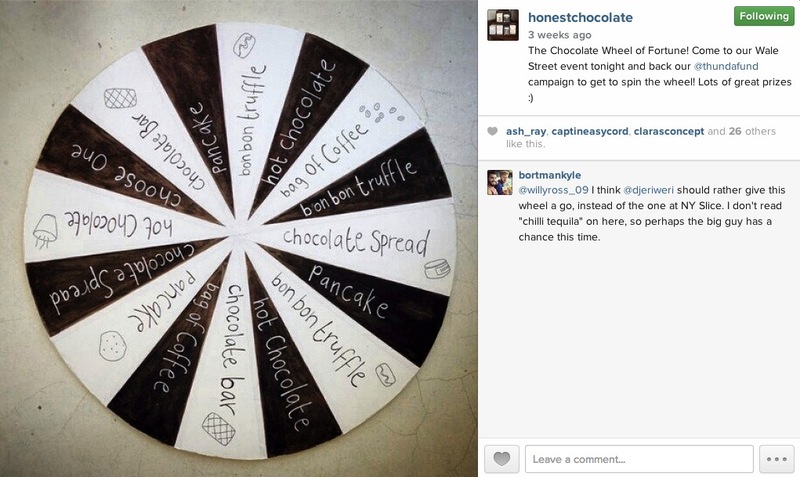 At their First Thursday Event those who were present and had backed their crowdfunding campaign were given the chance to spin the ‘Chocolate Wheel of Fortune’ and win further items, such as Honest Chocolate products and Cafe samples, such as a pancake or hot chocolate. Posters | flyers, both personally created and professionally printed, were placed in both of the Honest Chocolate shop and staff were encouraged to engage with customers about the crowdfund. Harnessing the power of social media. A cover photo including the link to their Thundafund campaign. Engagement & call-to-action’s; such as asking easy-to-answer questions which opened up conversation around potential rewards that would suit the backer. Boosting of posts on Facebook, which requires paying for further Facebook reach. Distinct use of their campaign link. Official URL included in videos and online posts. Various articles, endorsement and engagement within the food and Cape Town community. 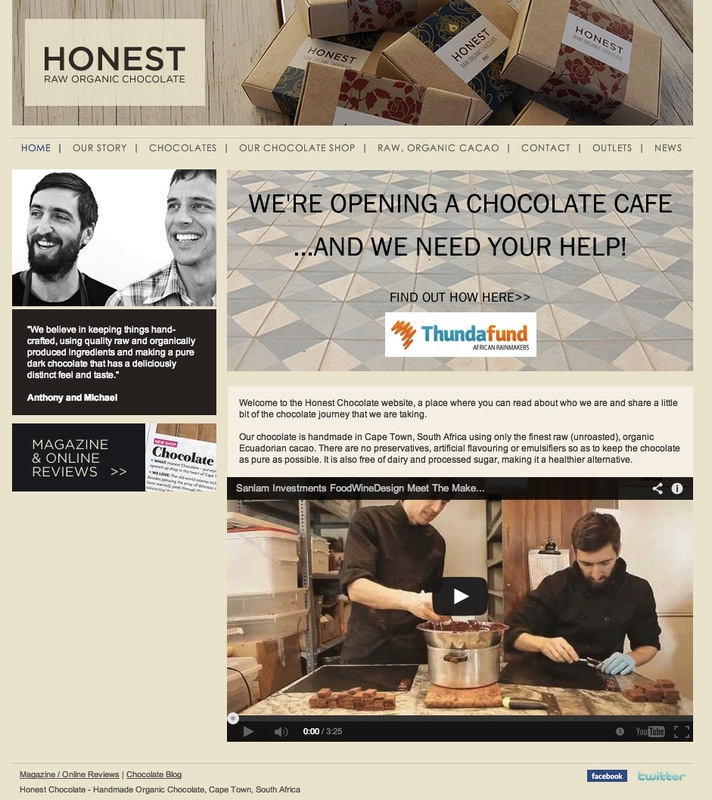 See ‘Updates’ Tab of www.thundafund.com/honestchocolate. “Test out your rewards on friends and family first to gauge their value and attractiveness. Ask people who will give you honest feedback. It’s a lot of work so make sure you have extra help to run the campaign and coordinate the rewards afterwards.” – Anthony Gird, co-founder of Honest Chocolate. People forget. they want to get a reward but they just forget to go to the site and get it. 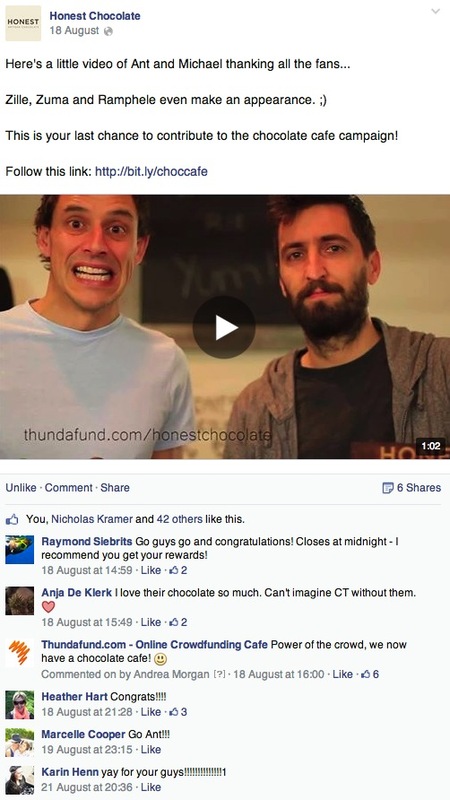 So think of ways to remind them, but don’t irritate them.” – Michael de Klerk, co-founder of Honest Chocolate. “Having an engaged community around your project is crucial to the success of your campaign.” – Nic Kramer, co-founder of Chicken & Wolf. 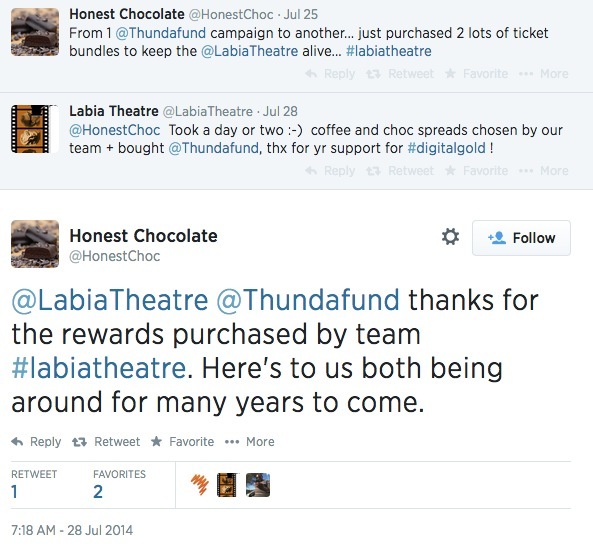 “Working with Honest Chocolate was a treat! 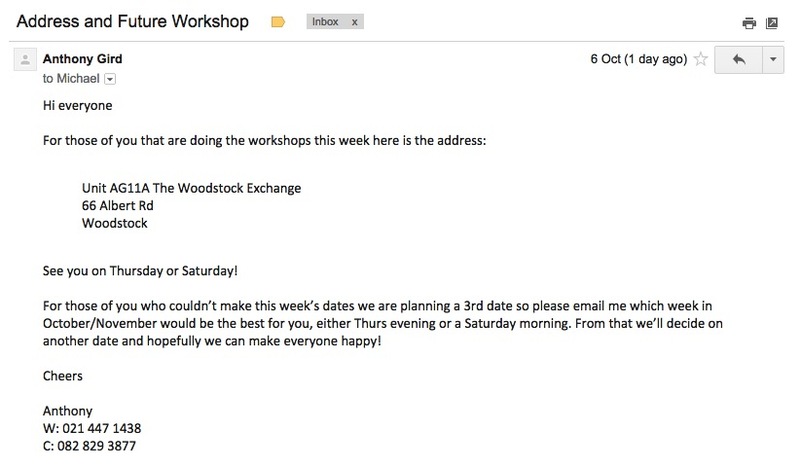 They knew their target market, offered fantastic rewards and understood the power of a well-executed event.” – Jess Kramer, co-founder of Chicken & Wolf. 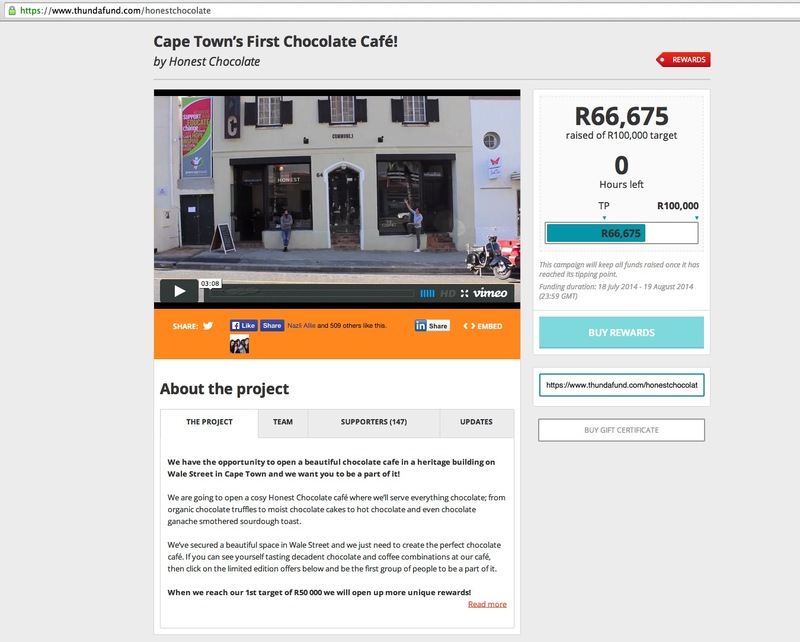 Image 1: Crowdfunding Campaign Call To Action on www.honestchocolate.co.za. Their ‘Banner Box’ includes what they are doing and how the person can get involved. Direct link to their Thundafund campaign. Image 2: Facebook Page Status Update on www.facebook.com/honestchocolate. This post includes a personal team picture outside their cafe space; which features information about the Cafe campaign in the window. A Milestone | Monetary update. Engagement via thanking the backers and asking them a question. Giving direction as to how to contribute further to reaching the Milestone 1. A ‘Bit.ly’ link was created to track the clicks from this post. Image 3: Facebook Page Video Update. This video can be viewed here. 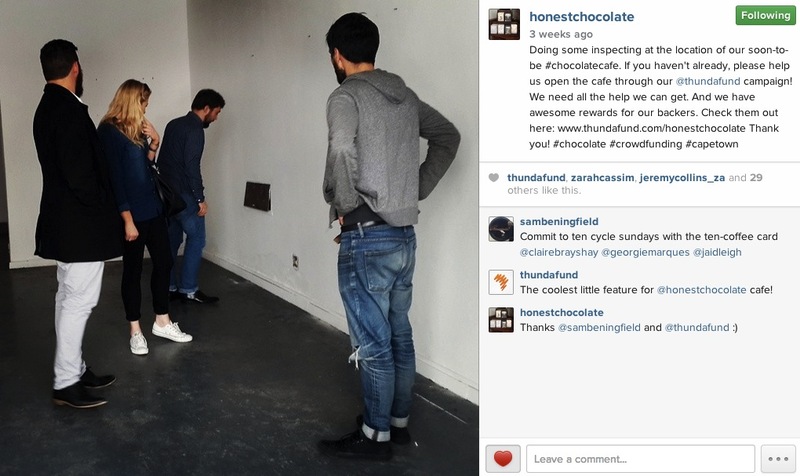 Honest Chocolate’s Instagram shares a distinctive view of their business world by capturing things that are interesting to the brand and to the core target customer; cultivating a unique visual sense as well as being informative via their captions. Engagement created via asking a simple, yet reward related question that is catching and easy to respond to. 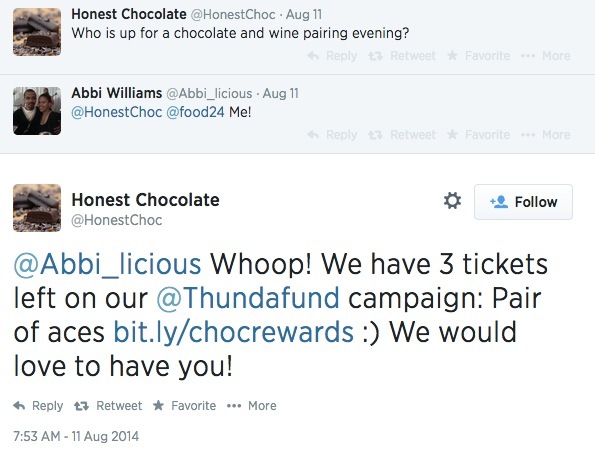 Once a follower of the @HonestChoc account responded they were directed to the campaign in a friendly, conversational manner. 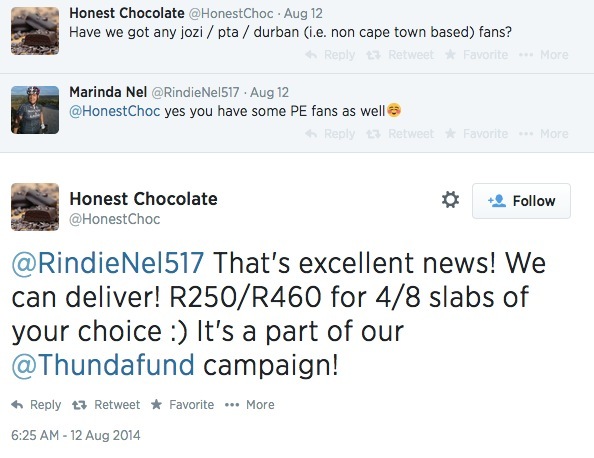 Image 10: Honest Chocolate Backing Another Thundafund Campaign. 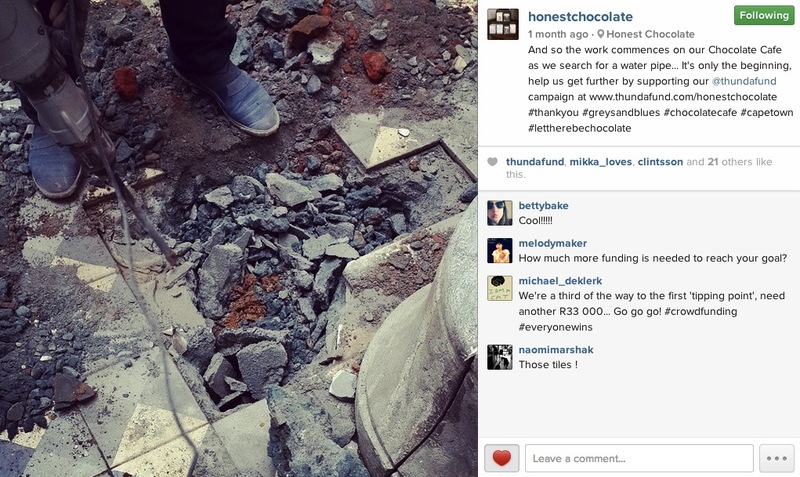 Image 11: @HonestChoc highlighting their campaign in response to a tweet. 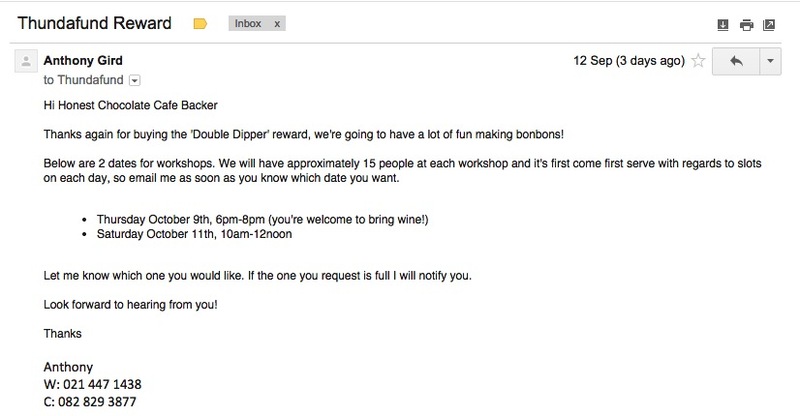 Images 12 – 18: Examples of the Honest Chocolate Emails To Update Their Backers. 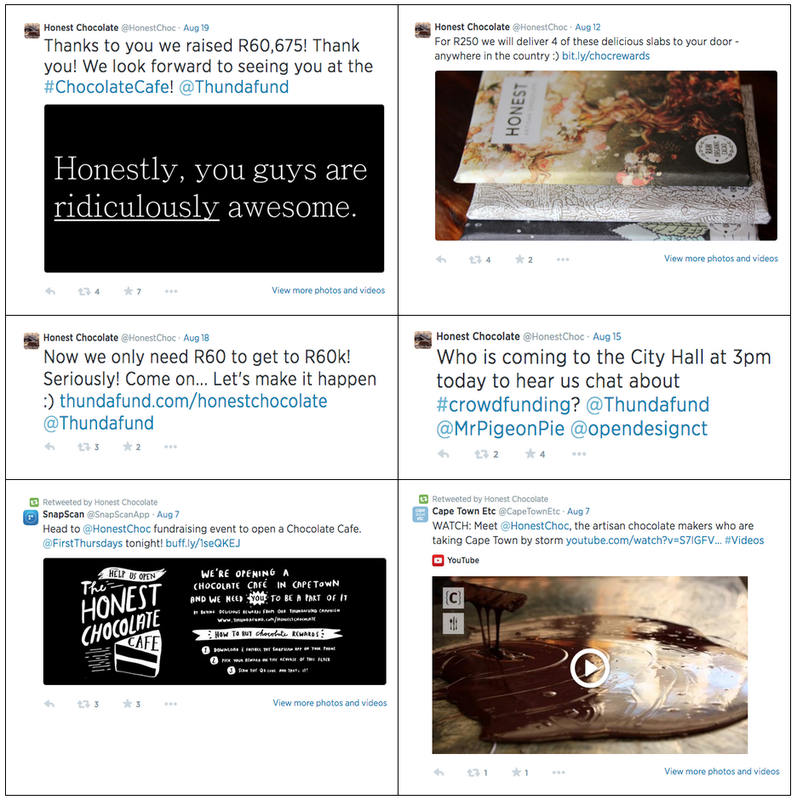 Honest Chocolate continued their engagement with their crowdfunding audience by saying thank you for their reward purchases; updating everyone on the progress of their crowdfunding; delivering rewards quickly and have kept talking to everyone. A sign-up for the Chocolate Cafe to expand their database around their new venture. September sprung South African crowdfunding into a new sphere! MPhil Inclusive Innovation Applications Now Open!